Well known for its whitewashed villages, shiny blue sea, sandy beaches, tasty cuisine and fascinating heritage, it is no wonder that Greece ranks so highly among Europe’s best travel destinations. And while it may be an almost impossible task to choose just ten places worthy of a visit, our Greek travel experts have compiled a list of fabulous destinations, each representing the best that Greece has to offer. 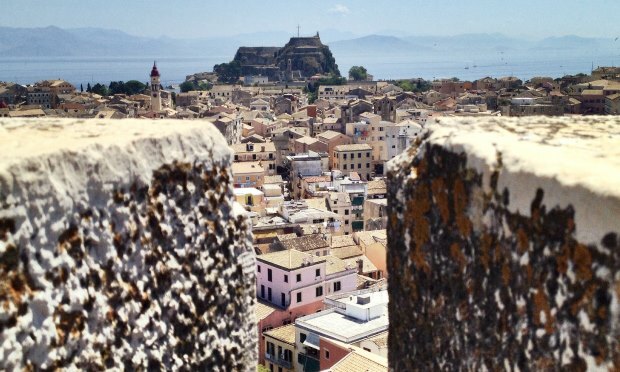 One could simply not do a list of the 10 best places to visit in Greece, without including its ancient capital. 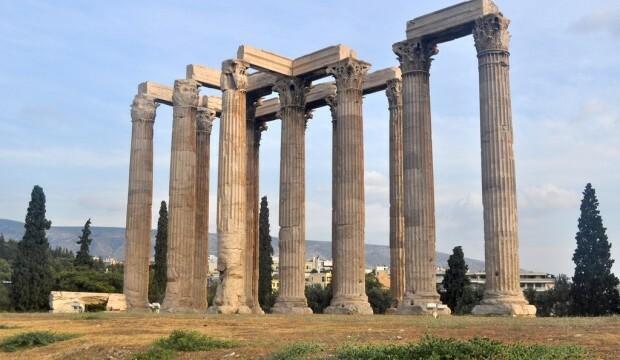 One of the oldest cities in the world, Athens is widely known as the cradle of Western civilization and the birthplace of Democracy. 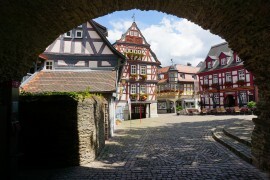 Inhabited for more than 3,000 years, the city we see today is a blend of historical monuments and modern features. 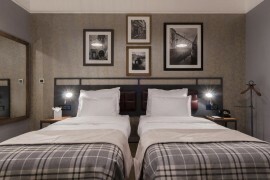 Some of its top attractions include the world-famous Acropolis, the Parthenon or the ancient Agora. 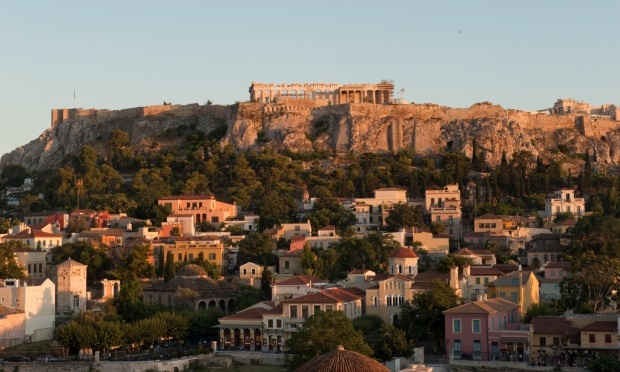 But other equally compulsory sights include the quaint Plaka district, for a perfect experience of Greek culture; watching the changing of the guards in Syntagma Square; and taking in the stunning views from the top of Mount Lycabettus, the highest point in the city. The biggest of Greece’s islands and the centre of Europe’s earliest recorded civilization (Minoan), Crete is a perfect combination of splendid beaches, ancient ruins, delicious food and breath taking landscapes. From Heraklion to Chania, the island’s main cities offer a vibrant scene to be explored, with plenty of museums, bars, restaurants and shops. For outdoor lovers, a hike through Samaria Gorge, supposedly the longest in Europe, is an absolute ‘must-do’. Eating at a traditional tavern (even a touristy one) or kafenio (Greek coffee house) is another unmissable treat, and you’d be really unfortunate to have a bad meal because the local ingredients here are just so darned good. Meteora, literally “middle of the sky” or “suspended on air”, is one of the most striking sights in all of Greece. 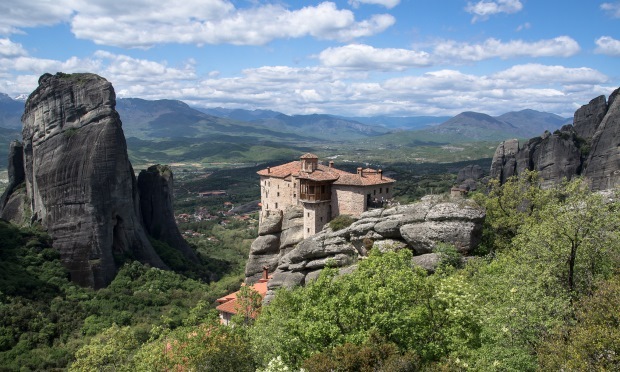 These six fabulous Greek Orthodox monasteries perched atop sandstone peaks in the plain of Thelassi, in Central Greece, are listed as UNESCO World Heritage and should be on anyone’s travel bucket list. In Meteora you’ll experience all of nature’s grandeur in conjunction with man’s everlasting desire to connect with the Divine. The second largest of the Ionian Islands, Corfu is entrenched in Greek history and mythology. 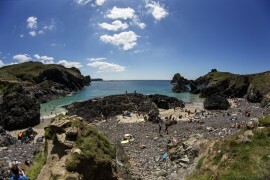 From medieval times and way into the 17th century, the island was also recognised as a first line of defence for the European States against the Ottoman Empire, becoming one of the most fortified places in Europe. 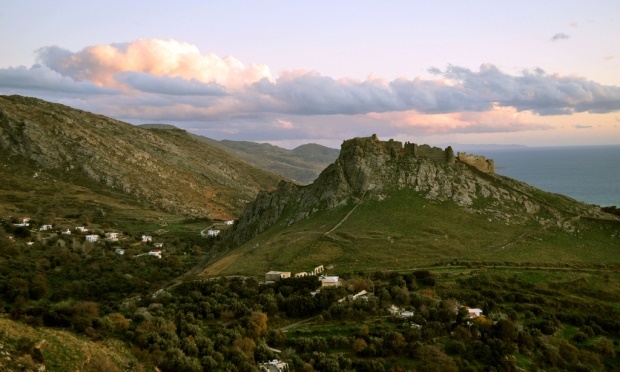 This legacy can still be seen today in the island’s Venetian fortresses and Byzantine castles. Apart from its great historical legacy, Corfu is also home to several delightful beaches perched along its coastline. 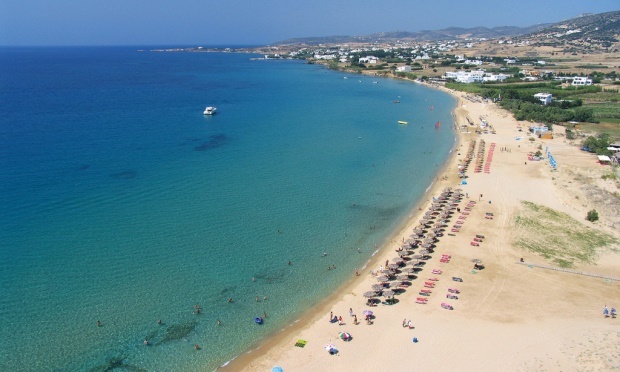 Located at the heart of the Aegean Sea, Paros is a charming island boasting several trendy resort towns, traditional whitewashed villages and golden sandy beaches. Historically speaking the island has long been recognized for its white Parian marble, drawn from its mountains interior, which was used to carve the legendary Venus de Milo and Napoleon’s tomb. The capital, Parikia, situated on the north-west side of the island, is a major hub for the Aegean islands ferries and catamarans. Another important settlement on the island is Lefkes, an inland mountainous village with narrow streets and houses decorated in the traditional Cycladic style shadowed by luxuriant vines and colourful flowers. Another bright star on the Greek map of popular destinations, Mykonos is a cosmopolitan island with an exuberant nightlife. The world’s wealthiest along with major celebrities all come to Mykonos for its beautiful beaches, warm weather, rich food and party scene reputation. But if history is more your thing, a visit to the beautiful Little Venice area, in the island’s capital Chora, is an absolute must; as is a visit to the nearby small island of Delos, commonly referred to as the birthplace of Apollo, and a UNESCO World Heritage Site. 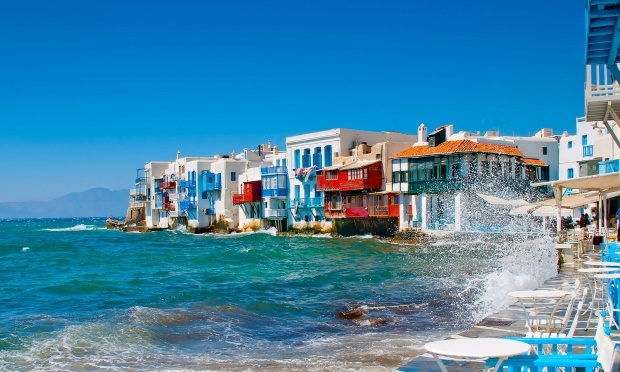 For more information and travel tips, download our free mini travel guide to Mykonos. 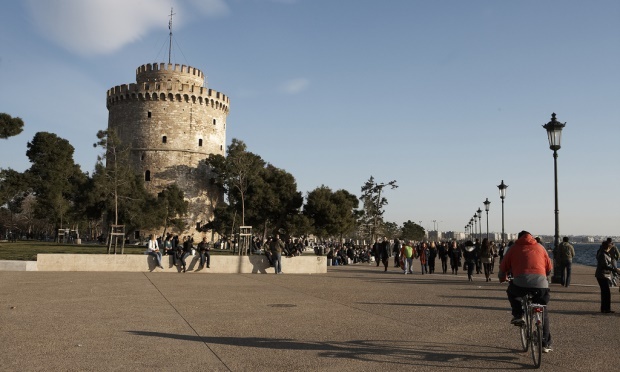 Second only to Athens, Thessaloniki, also known as Thessalonica or Salonica, is Greece’s second-largest city and the capital of the country’s region of Macedonia. This is a city with a rich multicultural past, witnessed by its stern Byzantine walls, Ottoman mosques and Turkish hammams, and with a foodie reputation – allegedly it has the best fish in the country. Visit the Modiano and Kapani markets, and you’ll find ice-packed stalls displaying a variety of the freshest fish as well as calamari, prawns, and live snails. The main cuisine here is a mixture of Turkish, Slav, Ottoman and Greek, and you can try it at the many old-school Greek taverns or funky little cafes. The second largest island in Greece, Evia (also known as Euboea) lies off the country’s eastern coast and is conveniently located close to Athens. From the mountainous south to its more fertile north, Evia offers a wealth of travel opportunities, including wonderful beaches and several thermal spring sources. The capital of Evia is the city of Chalkida ( Chalkis), located on the Euripus Strait in the central part of the island, and which is connected to the mainland by the Chalkida bridge. Other major locations include, Edipsos, a famous spa town in North Evia and a major holiday destination; and Alivieri, to the south, the economic and commercial hub of the island. 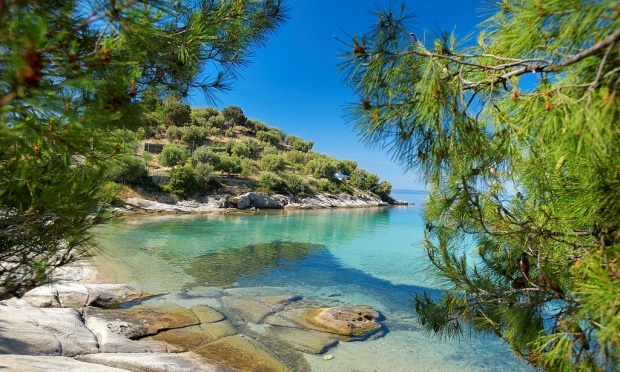 Chalkidiki, also known as Halkidiki, in Northern Greece and part of the region of Macedonia, boasts some of the finest beaches in the country. The area is primarily known for its perfect combination of unspoiled landscapes, a rich culinary fare and religious feast days. 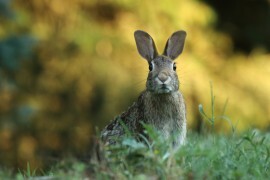 A major attraction to the area is Aristotle’s park, a park celebrating the feats of… well, Aristotle! Properly equipped with a series of instruments such as pendulums, water turbines or telescopes, Aristotle’s Park is an excellent place for both kids and grownups to learn and have fun. Santorini, a popular Greek island, may very well have drawn your attention before you’ve even set eyes on it. 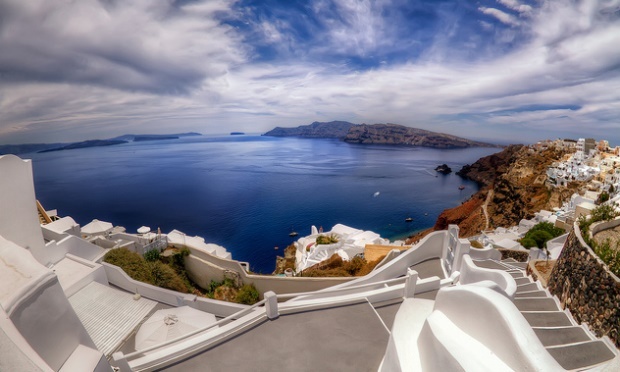 A perfect combination of crisp white Cycladic villages surrounded by the cool blue waters of the Aegean Sea, Santorini continues to draw crowds for most of the year. 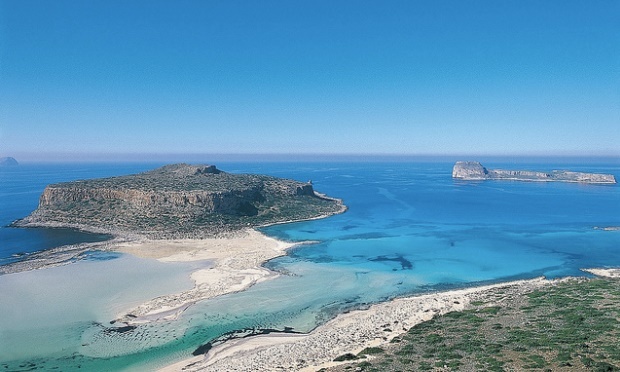 The island is essentially the site of a giant geological caldera left by one of the biggest volcanic eruptions in history, which occurred some 3600 years ago at the height of the Minoan civilization. Today the island houses a vibrant scene with exclusive hotels, exceptional wineries and some of the Cyclades finest dining experiences.